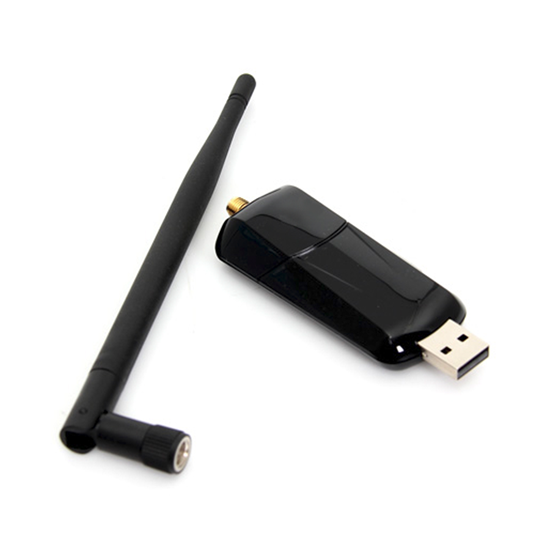 The ALFA Networks AWUS036NEH model USB WiFi adapter is a fantastic choice for WiFi Hackers. Supporting 802.11 b/g/n and packing a Ralink RT3070 chipset this USB powered radio delivers 6 modes of wireless including managed, monitor and master. Supported out-of-the-box by recent popular operating systems (including BackTrack 5 and Kali) either bare metal or USB pass-through to a VM (tested in VMWare and VirtualBox). Most importantly to us, the AWUS036NEH is a WiFi Pineapples best friend. Supplementing the WiFi Pineapples awesome integrated Atheros radios, this AWUS036NEH can enhance client-mode throughput (WiFi Pineapple to Access Point), enabling advanced attacks with simultaneous high throughput. Using an average of 160 milliamps, just 32% available current, the AWUS036NEHs low impact on battery budget means long runtime in remote deployments. Unlock high throughput in "Client Mode" and saturate connections to nearby access points. While the WiFi Pineapples integrated second radio is purpose built for raw frame injection, the implementation caps client throughput at 11Mbps. This is inherent to its design for advanced attacks described below. The AWUS036NEH adapter is fully 802.11b/g/n capable for 150Mbps. While the WiFi Pineapple can employ many effective offline attacks, an Internet back-haul provides even more sophisticated monitoring, traffic manipulation and remote management possibilities. Even more so, PineAP utilizes the full potential of the Mark Vs unique dual radio design for a potent hotspot honeypot. Using the AWUS036NEH over a 4G modem for Internet access can provide higher throughput while maintaining advanced monitoring and injection capabilities.